As an opposition force to the Government of Uzbekistan, we, the Birdamlik People’s Democratic Party (formerly Birdamlik People’s Democratic Movement until 15 of November 2018) have been active since 2004. We chose the ways of non-violent fighting against the existing regime as the main criterion of our political activities. Moreover, we have kept to this line since the beginning. Nevertheless, for many years, the dictatorship regime in Uzbekistan has been violating the rights of the members and activists of our Movement by persecuting them. As an example, we can show the obstacles to hold our Congress in our Motherland, which had planned, and the pressure, pursuit and persecution of our activists. Due to such serious factors, we were forced to arrange holding of our Congress in the territory of Kazakhstan. Again, we were not able to hold our Congress in the territory of Kazakhstan either for the joint efforts of the governments of Uzbekistan and Kazakhstan made this impossible. The official web site of the Birdamlik People’s Democratic Party www.bridamlik.info and the web-site www.mulkdor.com , which our Party is the founder have been blocked in the territory of the Republic of Kazakhstan. Acting completely illegally, the border authorities of Kazakhstan did not let the Chairman of the Party Bakhodir Khan Turkiston enter the territory of the Republic of Kazakhstan. Several other members of the party were not allowed entry to the country either. Three activists and one guest of our Party, who had enormous difficulties to pass the obstacles posed in Uzbekistan were forcefully taken out of the Dostyk Hotel in Chimkent and brought to the Migration Department of the Al-Farabi District Internal Affairs Department, where representatives of Kazakhstan Law enforcement authorities, including, of Kazakhstan National Security Committee, Department for Fighting Organized Crime and Terrorism subjected them to interrogation, and upon order by the Head of the Migration Department of the Al-Farabi District Internal Affairs Department, they were deported from the country without any comments and explanation of grounds. Although the Conference Hall rentals for holding the Congress and hotel bookings had been pre-paid in full for 60 people (50 persons at Dostyk Hotel and 10 persons in another hotel), in the evening of 14 of November 2018, the hotel administration did not give permission hanging Birdamlik Banners in and prepare the said hall for holding the Congress. As a result, the banners, intended for holding the Congress of the Birdamlik People’s Democratic Party and the expensive office equipment, purchased for the Congress were confiscated by the Law enforcement forces of Kazakhstan. No evidence documents had been given to the activists on the confiscated items. 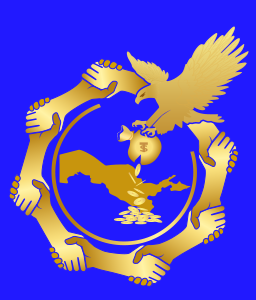 In light of the above, we, activists of the Birdamlik People’s Democratic Party of Uzbekistan express our dissatisfaction with the illegal actions of the government of the Republic of Kazakhstan.